Acupuncture is an ancient medical art. It has been practiced in China over 5,000 years although it is considered as a “new alternative” medicine in western cultures in modern times. Acupuncture is the insertion of very fine needles into the body at specific points. These points are called acupoints. They are distributed all over the body where the meridians come to the surface of the skin. Stimulating the points with the needles (sometimes in conjunction with electrical stimulus or burning specific herbs is called Moxibustion) influences and regulates physiological functions of the body. Acupressure is one of the most popular alternatives to Acupuncture. It is simply Acupuncture without needles. Stimulation of the Acupuncture points is performed with the fingers or an instrument with a hard ball shaped head. Another variation of Acupressure is Reflexology (also called Zone Therapy). This is where the soles of the feet and the posterior-inferior regions of the ankle joints are stimulated. Many diseases of the internal organs can be treated in this manner. This is also a partial of Tuina (Chinese massage) Technique. Q: What is Electric Stimulation Therapy and Electro-Acupuncture Therapy? Electric Stimulation Therapy is a therapeutic method of stimulating a certain area or acupoints with induced or direct electric current. Electro- Acupuncture Therapy is a therapy, which combines needling and electrical stimulation. It is the using of very small electrical impulses through the acupuncture needles. The first reported successful use of Electro-Acupuncture was in 1958 in China for a tonsillectomy. Today, it is a common method of surgical analgesia used in China. It is also generally used for pain relief, atrophy, or prevention and many other conditions. Moxibustion is a therapeutic technique of applying an ignited stick or cone of special Chinese herbs (moxa or mugwort or other medicinal herbs) over the affected part of the body or acupoints. Acupuncture and Moxibustion are considered complimentary forms of treatment, and are commonly used together. Moxibustion is used for ailments such as bronchial asthma, bronchitis, certain types of paralysis, Stomachache, diarrhea, bedwetting and arthritic disorders. Cupping is a method of stimulating Acupuncture points by applying suction through a metal, wood or glass jar, in which a partial vacuum has been created. This technique produces blood congestion at the site, and therefore stimulates the point or the area. Cupping is commonly used for low backache, sprains, soft tissue injuries, Arthritis, numbness and helping relieve fluid from the lungs in chronic bronchitis. If the correct stimulus of the needles has been obtained, the patients should feel no pain but some heaviness, distention, tingling, or electric sensation either around needle or traveling up or down the affected energy pathway or meridian. Some people categorize those sensations as a type of pain, especially those who have never experienced these kinds of sensations. In most cases, patients feel nothing uncomfortable. A lot of patients even feel very relaxed. Some of them take naps during needle retaining. 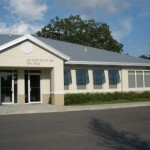 Only disposable needles are used on the patients according to Florida acupuncture law. Dr. Fan has been an examiner for Clean Needle Test of National board exam for acupuncturists in America for many years. She herself follows Clean Needle technique protocols very strictly. Depending upon the duration, severity, sensitivity to the treatments and nature of each individual’s complaints. Generally from four to eight treatments are required for the majority of chronic ailments. Many acute conditions may only require a single treatment and some degenerative conditions may require over ten treatments. Tuina is Chinese therapeutic Massage. There is a distinct difference between Adult Tuina and Pediatric Tuina. Adult Tuina is a combination of gentle massage, deep massage and manipulations on the joints and bones. It is very effective for treating muscle pain, soft tissue injury, neck, back and spinal problems. Acupressure is massage on acupoints. The similar effects with acupuncture can be attained. It is especially good for those who are in fear of needles. Pediatric Tuina is a unique Chinese Massage Therapy. It is extremely effective therapy for the treatment of a wide variety of common childhood ailments. Unlike Western infant massage, Chinese pediatric massage uses very specific protocols or treatments for specific ailments. Most common childhood complaints respond in only one or two treatments. Qigong is pronounced “ Chi Goung”. It is a Chinese energy healing art. It somehow looks like Reiki but Qigong is much more complicated and complex compared to Reiki. In China, only Qigong masters who practice many years can treat patients. Qigong exercises are very popular in China for self-healing and health maintenance. Q: Is herbal medicine necessary for me? Yes. Herbal medicine is the main part of Traditional Chinese Medicine. It is more effective if the patient follows the routines to take herbs, especially for internal organ problems, gynecological problems, tumors and so on. There are hundreds of commonly used patent herbs; over 500 commonly used individual crude herbs with thousands of combinations. The prescriptions for herbs are required in China because the specific herbs and combinations are for specific conditions, symptoms, signs and body constitutions. Follow your Chinese medicine practitioner whenever you start a new bottle of herbal medicine. Q: Is my diet and lifestyle healthy? This is a big question. Generally people need various nutrition, daily base exercises and good environment maintaining mental and physical health. It is varies between different ages, genders, body constitutions and specific health conditions. It is a good idea to have a consultation with your physician, nutritionist or experienced Chinese Medical Practitioner.